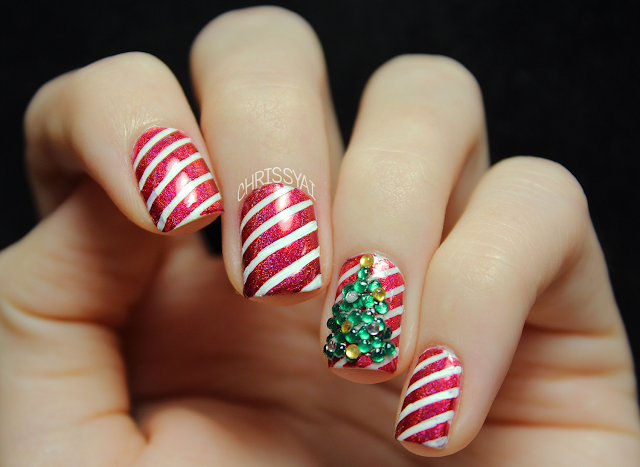 I have another nail art tutorial for you guys, Christmas themed! I've been pretty bad at posting lately so I'm trying to get back into the groove of it, so sorry for that! I hope you enjoy this simple mani and feel free to leave any requests, nails or makeup! I can't get over how cool your tree looks!